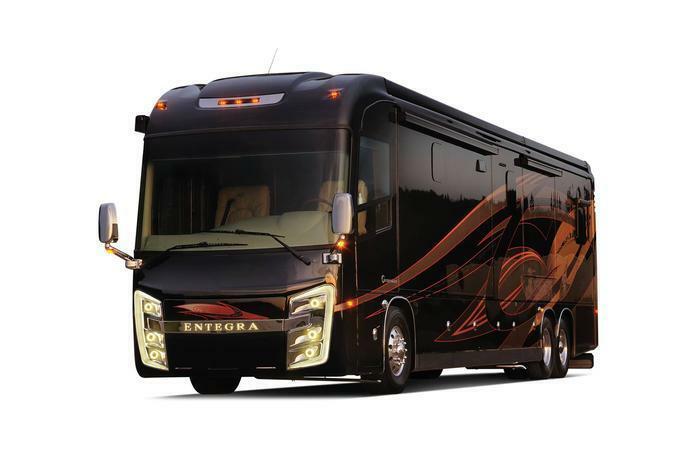 Entegra Coach is recalling 671 model year 2016-2017 Cornerstone and Anthem motorhomes manufactured April 7, 2015, to August 18, 2016. The affected vehicles are equipped with a Tempurpedic Sealy Mattress that may burn quickly when on fire. As such, these vehicles fail to comply with the requirements of Federal Motor Vehicle Safety Standard (FMVSS) number 302, "Flammability of Interior Materials." If the mattress burns quickly, a vehicle occupant may not have enough time to exit the vehicle in the event of a fire, increasing the risk of injury. Entegra will notify owners, and dealers will replace the Tempurpedic Sealy Mattress with a Sleep Number Mattress, free of charge. The recall is expected to begin November 18, 2016. Owners may contact Entegra customer service at 1-800-517-9137. Entegra's number for this recall is 9903329.